GM has come out with a additional/separate fix for the Z8’s transmission shudder, one different front the torque tube clutch replacement. If you are having an A8 trans issue, this could be very helpful information for you. Unfortunately, with all new procedures/parts, it is not yet available. Hopefully, this will help those of you who have been having this issue. What has been so interesting to many who have been following this, is that over 90% of all users with A8’s have not have an issue, but others have had it, and unfortunately, some more than once. A new transmission fluid exchange procedure and new formula of Mobil 1 Synthetic LV ATF HP transmission fluid is being released to address torque converter shudder on 8L45 and 8L90 applications. The procedure and new transmission fluid is being rolled out regionally due to the limited availability of both the new transmission fluid and tool kit availability. The dealer rollout was determined by paid warranty claims from TSB 16-NA-175. It is anticipated that the new transmission fluid and tool kit will be available nationwide by late January or early February 2019. Once the new transmission fluid and tool kit is available the detailed service procedure will be loaded into GM Service Information (SI) as a Technical Service Bulletin (TSB). TSB's 16-NA-175 and 18-NA-177 will be eliminated from SI. An additional Global Connect Message will be sent to announce these changes. Selected dealers will receive a separate Global Connect Message this week advising how to obtain the new Mobil 1 Synthetic LV ATF HP transmission fluid, delivery of the no charge tool kit from Bosch and detailed service procedure. The new fluid exchange procedure will require the use of the existing DT-45096 TransFlow machine and tool kit. The tool kit will ship from Bosch at no charge. The December 2018 Emerging Issues Broadcast, course number 10218.12V will be available through the Center of Learning on Thursday, December 13. The broadcast contains a video demonstrating the procedure on a Chevrolet Colorado and details on the new Mobil 1 Synthetic LV ATF HP transmission fluid. The detailed service procedure may seem complicated at first review. However, we are confident that once you've completed the procedure you will find it relatively easy. Proper Diagnosis: Sometimes shudder is not caused by the torque converter clutch (TCC). In some instances, shudder is fish bite, chuggle, surge or vibration. Utilizing the GDS and or the PICO Scope will help confirm the issue is TCC shudder. We have seen cases of suspected TCC shudder turn out to be engine performance, tire/wheel vibration or a driveline vibration. Please do not contact the Technical Assistance Center (TAC) seeking information on when the new Mobil 1 Synthetic LV ATF HP transmission fluid and tool kit will be available nationwide. TAC does not have any additional information. For those dealers that are not among the initial selected group. Please continue to follow 16-NA-175 and 18-NA-177 until the new service procedure is available nationwide. We are working diligently to get the new service solution available to all dealers and will advise through an additional Global Connect message once available. Last edited by John; 12-13-2018, 01:33 PM. 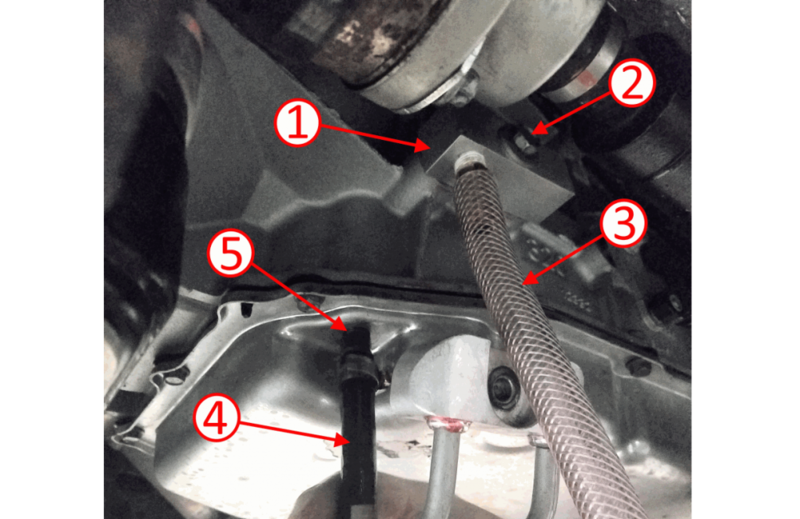 new transmission fluid exchange procedure and a new formula of Mobil 1 Synthetic LV ATF HP transmission fluid have been released to address torque converter clutch (TCC) shudder conditions on 8L45 and 8L90 8-speed automatic transmissions (RPOs M5N, M5T, M5U, M5X) in some 2015-2017 Escalade, Yukon; 2015-2018 Silverado, Sierra; 2015-2019 Corvette; 2016-2018 CT6; 2016-2019 ATS, CTS, Camaro; and 2017-2019 Colorado and Canyon models. The new fluid exchange procedure requires the use of the DT-45096 TransFlow Cooler Flush Machine and DT-52263 Transmission Fluid Exchange Tool Kit. (Fig. 10) The tool kit began shipping to dealerships at no charge in late January 2019. All GM dealerships should receive the tool kits by the end of March 2019. The new service procedure addresses shake and/or shudder conditions during light throttle acceleration between 25 and 80 MPH (40 and 128 KM/H) at a steady speed when the transmission is not shifting gears. To ensure TCC shudder is diagnosed correctly, drive the vehicle on a smooth road with transmission sump temperature between 122°F (50°C) – 158°F (70°C). Constant throttle input on a smooth grade is needed. 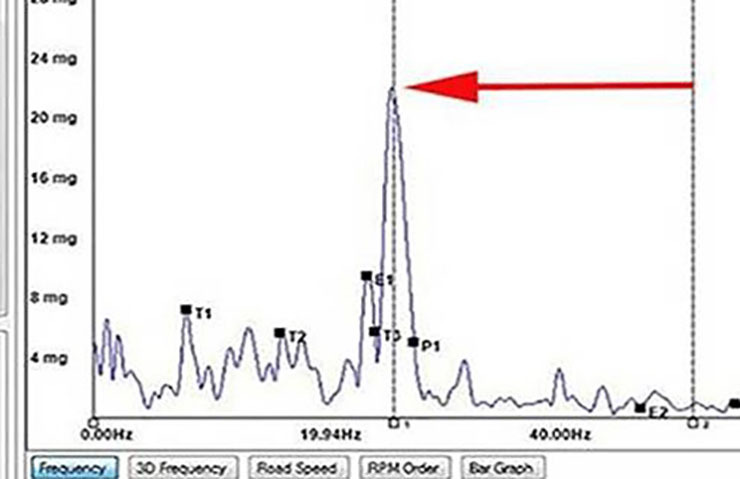 If TCC shudder is present, a vibration peak will appear within +/- 2 Hz of the frequency listed in Bulletin #18-NA-355. Refer to the bulletin for additional information, including required shudder test conditions for each vehicle being diagnosed as well as the fluid exchange procedures. The TCC shudder condition is related to moisture content in the transmission fluid. The current fluid tends to be hydroscopic, or absorbs moisture, which increases the chance of TCC shudder. There are three different fluid exchange procedures to follow, depending on vehicle application, so that an acceptable concentration of the new HP fluid is achieved in the transmission. The new Mobil 1 Synthetic LV ATF HP transmission fluid is now available to U.S. dealerships through your local GM Oil Distributor. 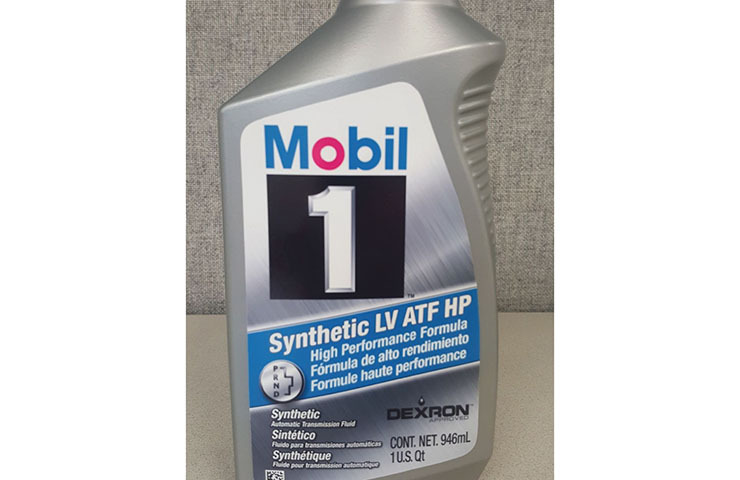 The new Mobil 1 Synthetic LV ATF HP transmission fluid is available in quart bottles (GM Part Number 19417577) and, for a limited time, in 55-gallon drums (GM Part Number 19417904) (Fig. 12) in most locations. Drum production ended in January 2019. The GM part numbers are not on the product. The Mobil 1 Synthetic LV ATF HP fluid and the required tool kit will be available to all Canadian dealerships by the end of March 2019. GM Part Numbers for 0.946 liter bottles will be provided at that time. 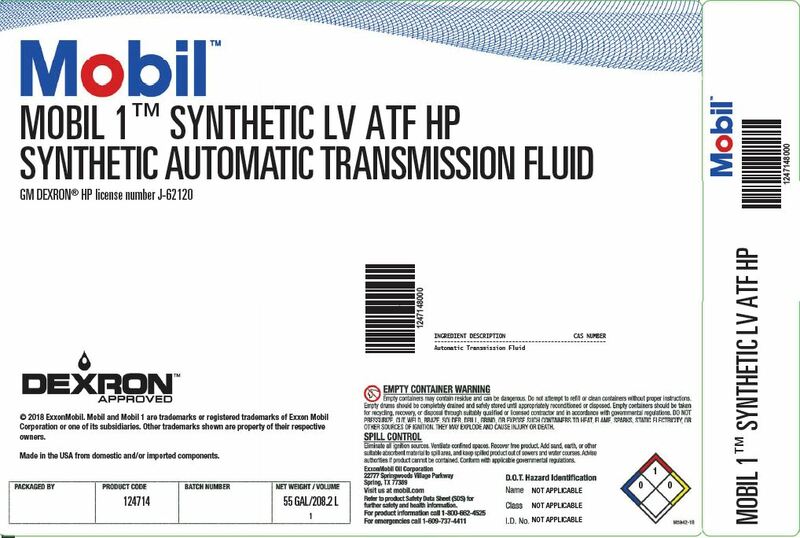 TIP: Mobil 1 Synthetic LV ATF HP transmission fluid is required for all 8-speed transmission repairs regardless of the repair being completed. Quart bottles, which can be identified by a new blue banner across the front of the bottle (Fig. 13), will be limited to 20 cases/120 quarts per dealer per week during the initial launch of the new product. The new bottles also feature the HP license number J-62120 on the back label. The use of the black label Mobil 1 Synthetic LV ATF HP fluid (GM Part Number 19355656) should be discontinued. For a video demonstration of the new fluid exchange procedure, check out the December 2018 Emerging Issues Broadcast, course number 10218.12V, available through the Center of Learning. In Canada, refer to the January 2019 TAC Talk seminar. How does a car owner find who are the "selected dealers"
Great information. Been lucky... no problems at all with my 15 A8.